1st Time on market. Absolutely pristine & updated. No need to preview. Sit on balcony & enjoy lake view. Private, quiet & right across from pool & community house. LSM has many social groups you can join & meet neighbors, from tennis, & knitting clubs to books & more. New restaurant is state of the art & right on the Lake. Hotel only couple of years old, where family & friends can stay. Community has 24 hour service. 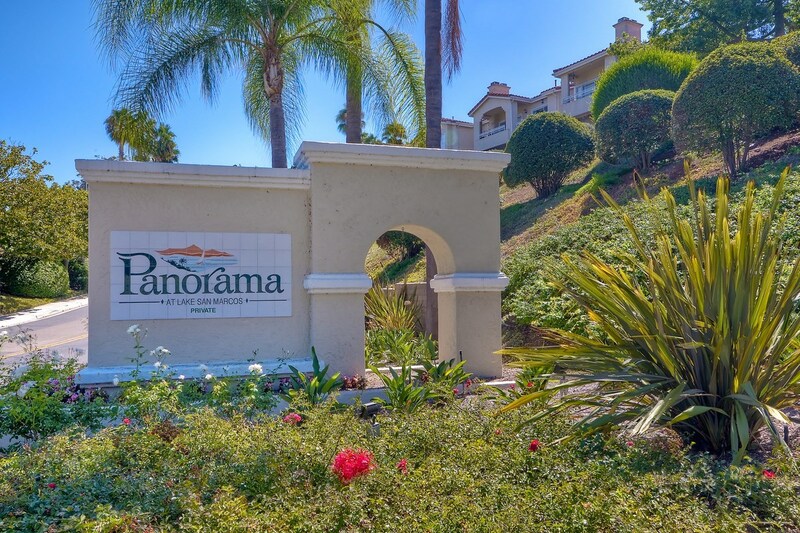 Close to shopping, freeways, CSU, Palomar. See supplement for many home benefits., New top of the line carpeting & pad (liquid repellant).Water heater replaced this year/warranty. Windows & slider double-paned vinyl;master shower replaced all tile; kitchen cabinets resurfaced, drawers and insides replaced; cabinets sliding shelves; bedroom closets organized w/shelves & drawers. Track lighting, kitchen, living room & study 3 ceiling fans; custom window treatments.